There currently is a healthy and growing “middle class” app economy. Mobile analytics firm Flurry reports seeing 357 percent growth over the past 18 months from independently owned apps that have a worldwide audience of over 20 million monthly active users, and 121 percent growth from those with an audience of over one million. A good bit of the mobile app growth Flurry is touting today is because of mobile app adoption in emerging markets, something the company alludes to by citing the adoption of gaming, utility and messaging apps like LINE, Kakao, Snapchat and WhatsApp around the world. In particular, the company found earlier this summer that China alone accounted for 24 percent of all the connected devices worldwide, including both smartphones and tablets. This means that while Flurry is making a good point that there’s still plenty of room for growth in the mobile app stores, by taking a high-level view of the mobile app development and usage data, it may be glossing over the very real struggles developers in mature markets have to overcome to just get their app noticed by users, and then keep it from being abandoned by users later on. If this latest mobile app data from Flurry about a “middle class” app economy is really true, then this may indeed suggest that there is a middle-ground market for mobile apps that are able to achieve a certain number of active users; even if those same mobile apps might not be constantly used. The new data from Flurry also confirms that mobile applications will still face an initial struggle to get noticed and then continually adopted and used by many in order to become large successes in the mobile application market due to the current presence of over one million applications in the Apple/iOS mobile app store. Vietnam is definitely getting in on this crowded market with successful mobileoriented startups hitting the one million user milestone. Here’s a list of both the mobile and non-mobile spaces that might interest you. 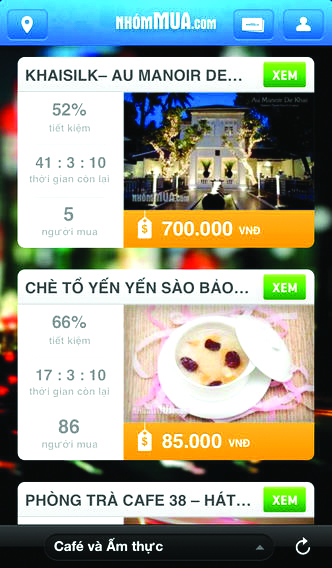 Greengar is one of the most successful mobile app companies in Vietnam. It started out as an app studio that built apps, from productivity to gaming ones, but since entering the 500 Startups program in Silicon Valley, it has focused solely on its most successful app – Whiteboard. 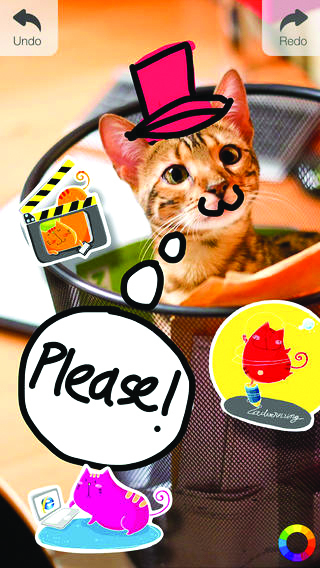 The app allows users to collaborate on a shared whiteboard with text, paintbrushes, and more. The app is mainly targeted at educational institutions, but the CEO, one of Vietnam’s few female tech startup co-founders, says it can also be used in business meetings. VNG is no longer a considered a startup. It’s one of Vietnam’s biggest tech giants, and is worth mentioning because it is basically Southeast Asia’s only major contender against East Asian chat apps like Line, KakaoTalk, WeChat, and foreign competitors like Viber and Whatsapp. 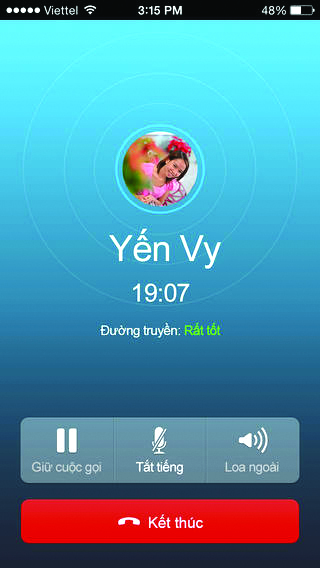 Zalo is most likely Vietnam’s second most used chat app with almost seven million users to date. That’s growth that only occurred in the last year. 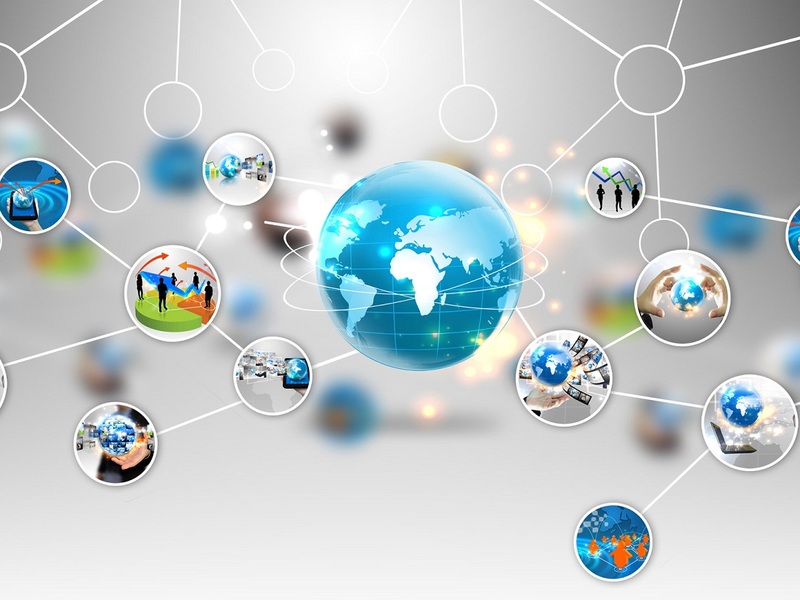 This explosive growth is because VNG has poured huge resources into an aggressive marketing plan. 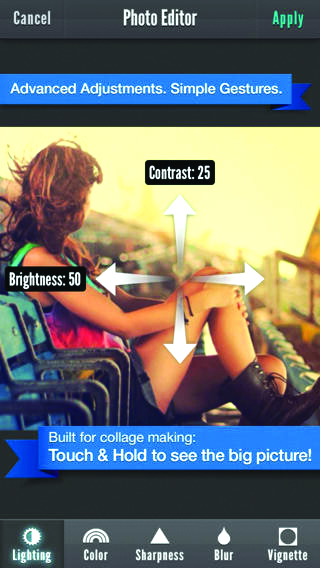 The mobile app company recently released another version of its Fuzel app. Rather than update the old app, the Not A Basement team decided to keep the old version as a legacy app and encouraged users to download its new same-name version. The new app has already skyrocketed to Apple’s recent “Best New Apps” list and features a modern chic design. The original Fuzel app had received over a million downloads and Not A Basement studio’s MangaRock, an app that allows users to read their favorite mangas, has also received over a million downloads. Considered as one of the most successful mobile gaming companies in Vietnam, Divmob has produced more than 10 games for Android and iOS. Its most successful is Ninja Revenge, which garnered over one million downloads in 21 days. It received close to two million downloads in the first month and in total has over four million downloads. My personal favorite is Zombie Age. This is the only startup in this list that has a sad story. Started by a team of Vietnamese- Americans and locals, Nhom Mua was by far one of Vietnam’s most successful daily deals sites. It saw user numbers climb at an exponential rate, and saw revenues approaching USD2 million per month according to an undisclosed source. Unfortunately, the site was embroiled in a controversial embezzlement scandal which led to the exit of the founder and CEO, and the dissolution of the original management team. The scandal resulted in consumers’ distrust of the company and leveled the playing field for other daily deals sites to take over the market. Today, Nhom Mua still survives but is just another one of the many medium-sized daily deals sites. HaiVL, like Zalo, has seen explosive growth in a year, but did not need to spend huge amounts of marketing to get there. It’s a site that closely resembles 9gag, the funny photo sharing site, and started out by doing free marketing on Facebook. HaiVL, within just over a year, received 2.5 million unique visits to its site per day. Half of those visits came from direct visits where users were typing “HaiVL” into the URL bar. The growth of HaiVL has spawned a number of clones, but it will be a long time before anybody can dethrone a startup whose young 22-year-old CEO is intent on hitting 10 million visits per day within the next few years. WebTreTho is Vietnam’s biggest female forum with over a million users because it focused on one of the most active demographic on the internet – Vietnamese women. Adultery is one of the most searched and asked about topics on WebTreTho. With its large loyal user base, it has since expanded into an e-commerce business under the name Project Lana. Under Project Lana, there are three main e-commerce sites – Be Yeu (for mothers), Lam Dieu (ladies’ fashion and accessories), and Foreva (lingerie). Project Lana is one of IDG Ventures Vietnam’s biggest e-commerce projects. 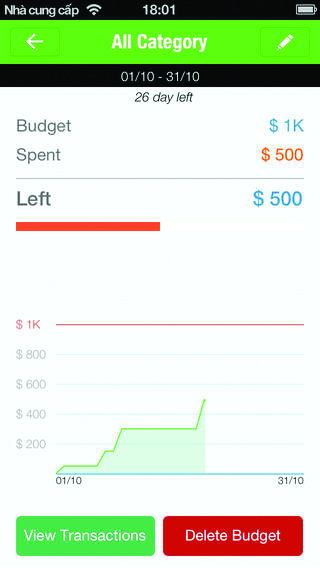 Money Lover is a beautifully designed app that allows users to manage their finances on a smartphone. It’s simple to use, and although the app is not at the same level of Mint or Money Management, it has managed to earn a worldwide user base. MC Corp is a gaming company that specializes in mostly fantasy games ranging from tower defense, card battling, role playing, puzzles, and action adventure. With young Vietnamese gamers so enthralled with ancient Chinese and Vietnamese mythology, MC Corp has been able to capitalize on this niche market with iOS, Android, and flash games. Its flagship game is Dalton, a particularly fun iOS app that features a running character named Dalton who travels around in a surrealistic universe chopping down odd creatures. The co-founders of Colorbox were all former Gameloft designers, underscoring one of the most important aspects of building a successful startup – experience. There are many ways Vietnamese startups have been able to achieve over one million users – each hit on very specific markets like education, fantasy gaming, or communication. It’s a lesson for young startups in Vietnam today that are looking for growth numbers like these.